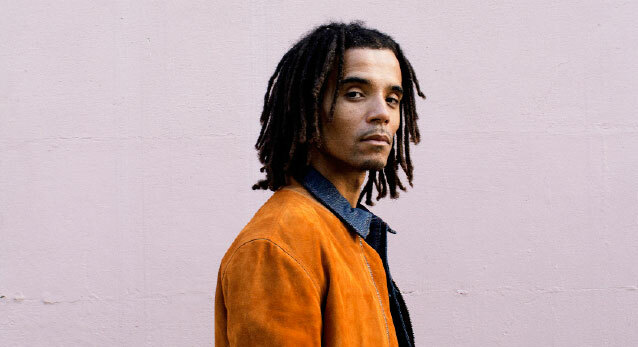 BAFTA and MOBO award-winning hip hop artist, writer/poet and historian AKALA is a label owner and social entrepreneur who fuses unique rap/rock/electro-punk sound with fierce lyrical storytelling. Inspired by the likes of Saul Williams and Gil Scot-Heron, over the years Akala has developed a stellar live show with his renowned drummer/award-winning music producer Cassell ‘TheBeatmaker’ (Plan B/The Streets/Keziah Jones) headlining 8 UK tours as well as touring with the likes of Jay-Z, Nas & Damian Marley, M.I.A. , Christina Aguilera to Siouxsie Sue, Damon Albarn’s (‘Blur’/Gorillaz’) ‘Africa Express’ and Richard Ashcroft. Akala is internationally known having appeared at numerous UK / European and US festivals (Glastonbury, Big Chill, Wireless, V, Hove and SXSW) as well as taking part in British Council arts education/music projects across several countries in South-East Asia, Africa, The Philippines, New Zealand and Australia. More recently, Akala has also become known for his compelling lectures, seminars and journalism (The Guardian, Huffington Post UK and The Independent), in addition to for his TV presenting and script-writing. Over the last few years he has gained a reputation as one of the most dynamic and literate talents in the UK. Akala has also featured on numerous TV programmes across Channel 4, ITV2, MTV, Sky Arts and the BBC promoting his music and poetry as well as speaking on wide ranging subjects including youth engagement, British / African-Caribbean culture and the arts as a whole. In 2009, Akala launched the ‘The Hip-hop Shakespeare Company’, a music theatre production company which has sparked worldwide media interest since its inception. Previous clients/collaborators include: BBC, Premier League, Mastercard, London 2012, British actor Sir Ian McKellen and artists Ed Sheeran, Ms Dynamite, Lady Leshurr and many more.